This entry was posted in Moroccan Musings and tagged blog, culture, Essaouira, food, Morocco, reviews, travel on May 10, 2015 by lynn. 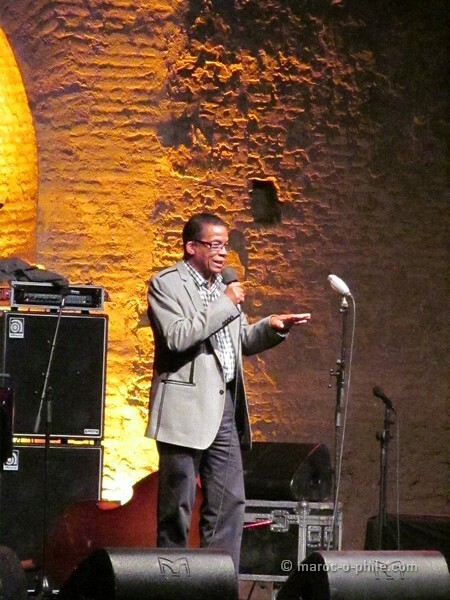 This entry was posted in Moroccan Musings and tagged blog, culture, Marrakech, Morocco, music, reviews on May 8, 2015 by lynn. I have been spending some time over winter in the UK, but this weekend, I head back to Essaouira for a few weeks. I hope to hand over a tidy sum of donations which I have collected through my crowdfunding campaign for Association Bayti, as well as check out some favourite old haunts and some exciting new openings in the city. This entry was posted in Moroccan Musings and tagged blog, culture, Essaouira, food, reviews, travel on April 30, 2015 by lynn. After a critically-acclaimed run in Paris, the Medieval Morocco exhibition, which was part of the Parisian Moroccan Autumn, comes to Rabat. The exhibition features work spanning 5 centuries from when the Moorish influence was at its greatest. The artefacts have been assembled from the Iberian Peninsula as well as North and West Africa. The exhibition is now on and runs until 1 June. If you are in Morocco over the next months, it’s not to be missed! Read my review here. This entry was posted in Moroccan Musings and tagged blog, culture, design, history, Rabat, reviews, travel on March 20, 2015 by lynn. It’s here! The wait is over! Finally, my e-guide to Essaouira, The Best of Essaouira is available online*. Available on a new and improved maroc-o-phile website, The Best of Essaouira helps you make the most of your stay in this boho chic seaside haven. The Best of Essaouira gives you the lowdown – three choices in each category of the best places to eat, sleep, shop, watch the sunset and grab an elusive beer. Likewise, three ways to meet locals, to give back to the community and to get out into the countryside. 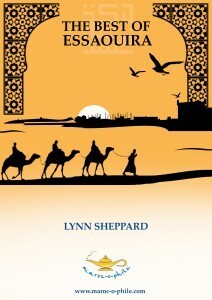 And much more: The Best of Essaouira contains over 70 top tips in a concise, downloadable e-book. It takes no extra space in your luggage and it’s all you’ll need. All for an introductory bargain price for maroc-o-phile readers of only £2.99. A percentage of proceeds go to support kids’ education in Essaouira. Find out more on the dedicated page – and let me know what you think – both of the website and the book. * Kindle format coming soon! Keep an eye on the website for the announcement! This entry was posted in Moroccan Musings and tagged blog, Essaouira, Morocco, reviews, travel on March 10, 2015 by lynn. 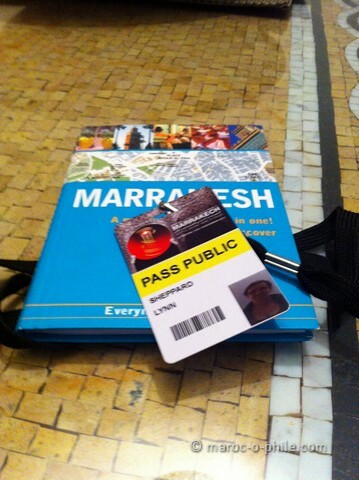 The Marrakech International Film Festival 2014 began on Friday 5 December. As well as the main competition category, the festival also features tribute categories. This year’s personal homages are to actors Jeremy Irons (UK), Viggo Mortensen (US) and Adel Iman (Egypt) plus two of Morocco’s most prolific producers, Khadija Alami and Zakaria Alaoui. Morocco is a sought-after location for films. The Atlas Film Studios in Ouarzarzate are one of the world’s largest. The combined filmography of these two producers includes almost every movie ever made in Morocco. Between them, they have worked on dozens of TV and feature film productions including movie series such as James Bond, Mission Impossible and Jason Bourne. The new James Bond film, Spectre, will be filmed here in 2015. This entry was posted in Moroccan Musings and tagged blog, culture, film, Marrakech, Morocco, reviews, travel on December 9, 2014 by lynn. Regular readers of maroc-o-phile.com will know that I am a big foodie! So, when my friend Amanda over at MarocMama.com wanted an update on Essaouira restaurants, who else would she ask?! My post over on her website is an extract from my forthcoming e-book, The Best of Essaouira, where I recommend the top three best properties, locations, services and experiences in a range of categories. It contains over 70 tips for eating, sleeping, sight-seeing, shopping, sunsets, photos and authentic interaction with the locals. It will be available at maroc-o-phile.com later this month, in particular aimed at prospective and booked passengers on the new direct flights from London. Want more tips on the Best of Essaouira? Download your copy of the e-guide here. 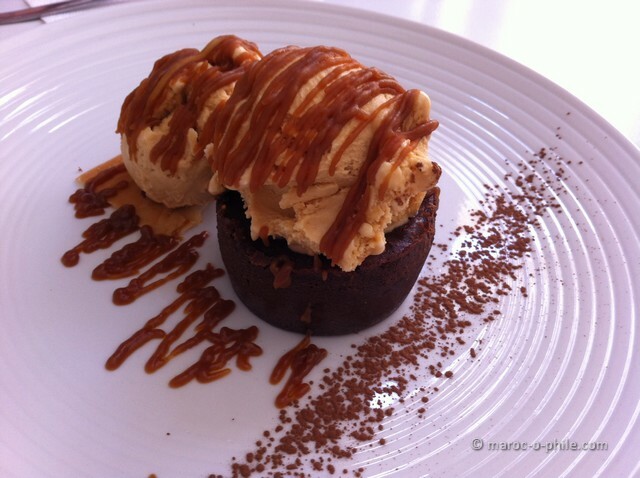 This entry was posted in Moroccan Musings and tagged blog, Essaouira, food, Morocco, reviews, travel on December 9, 2014 by lynn. I am a big film fan and I love to get my annual dose of big screen entertainment at the Marrakech International Film Festival. 2014 will be my 3rd year. 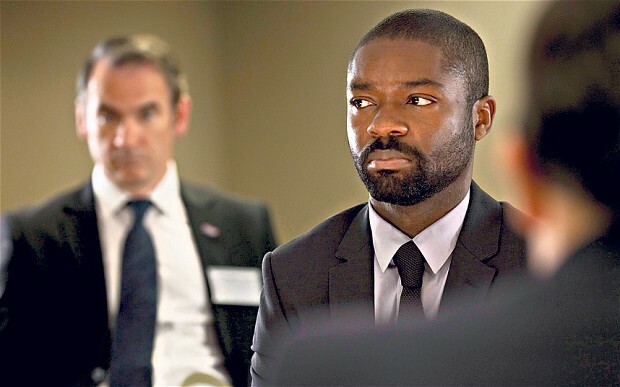 Read my reviews of films in 2012 and 2013 on the maroc-o-phile blog. For a preview of the Festival, read my post for Travel Exploration here. And for top tips on caffeine breaks and pit stops between films, see my cafe guide here. This entry was posted in Moroccan Musings and tagged blog, culture, film, Marrakech, Morocco, reviews, travel on December 1, 2014 by lynn. 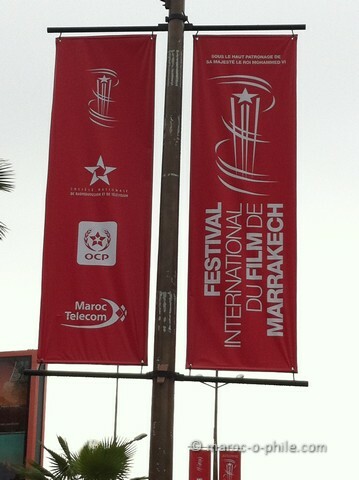 The Marrakech International Film Festival is now in its 14th year. In 2014, it will run from 5-13 December. Although not as high-profile as some of the European film festivals such as Cannes or the Berlinale, Marrakech offers a great opportunity to catch new international and art house films as well as retrospectives and back catalogues. This year, expect to see L’Orchestre des Aveugles, a Moroccan feature, in the competition. Also showing are the drama about Stephen Hawking, The Theory of Everything and A Most Violent Year, J.C. Chandor’s film about crime and corruption in New York City. The open air screen on Place Jmaa el Fna will show the latest Shah Rukh Khan Bollywood epic, Happy New Year and there will also be homages to Japanese cinema, Moroccan producers, Jeremy Irons and Viggo Mortensen. The jury is presided this year by French actress, Isabelle Huppert. Entry to the films is free with a public pass available in advance via the festival website. Read my preview of the 2014 festival here. So, there is no shortage of big screen entertainment. But what about between films? Where are the best places for chilling out, posting your snaps of stars on social media, reading reviews and grabbing a coffee on the go? Fortunately, the Palais de Congrès is right in the middle of a hub of café culture in Marrakech’s Hivernage district. This entry was posted in Moroccan Musings and tagged blog, culture, film, food, Marrakech, Morocco, reviews, travel on December 1, 2014 by lynn.